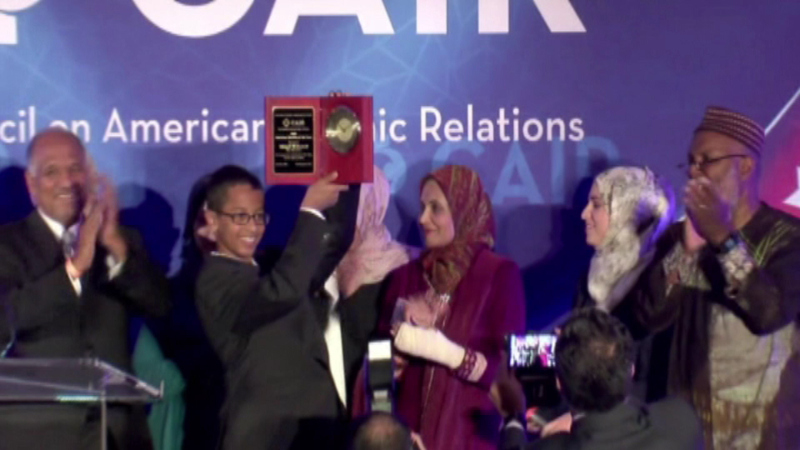 CHICAGO (WLS) -- Ahmed Mohamed, the Texas teen who was arrested for bringing his homemade clock to school because a teacher said it looked like a bomb, was given the American Muslim of the Year award by the Council on American-Islamic Relations Sunday. The 14-year old drew support from more than 1 million Twitter users. President Obama has invited Ahmed to attend astronomy night at the White House Monday night.